According to PwC’s global power & utilities survey released recently disruptive forces that are beyond the control of the utilities industry, are going to transform the industry in disruptive ways. Many in the industry expect the existing power utility business model in their market to transform or even be unrecognisable in the period between now and 2030.The majority of utility companies (94%) predict complete transformation or important changes to the power utility business model. Fifty percent of companies in Africa say it is likely or highly likely that increasing levels of distributed generation will force them to change their business models. The prospect of transformation of the industry business model arises from a number of potentially disruptive changes. The 13th PwC Annual Power and Utilities Survey is based on research conducted between March and July 2013 with senior executives from 53 utility companies in 35 countries across Europe, the Americas, Asia Pacific, Middle East and Africa. The survey looks at the pressures building up on the traditional power utility business model and the industry’s viewpoint on the transformative changes that lie ahead. The survey shows that four in every 10 (41%) of companies anticipate business model transformation and, a further 53% expect existing business models to undergo ‘important changes’. Very few (6%) of participants globally expect the business model to remain ‘more or less the same’. 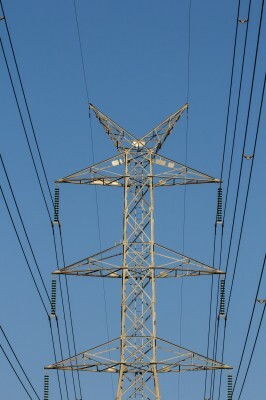 The strongest anticipation of transformation is from power utilities companies in Asia. In contrast with other regions, few participants in the Middle East and Africa (MEA) and South America anticipate transformation to their business models. Instead, most or all expect it to be similar to today but with “some important changes”. Nearly two-thirds of companies believe there is a medium to high probability that distributive generation will deliver more than a 20% share of worldwide generation by 2030. More than half of companies (57%) say there is a high or very high likelihood that distributed generation will force utilities to significantly change their business models. In addition, companies anticipate distributed generation to push up the price consumers pay for transmission and distribution. 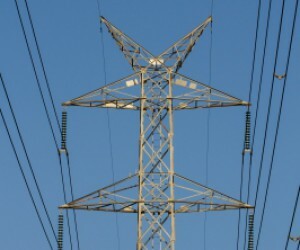 It will increase the proportion of fixed costs in the price of electricity. Only 20% of participants report fixed costs above 50% now but a third (33%) expect fixed costs to have risen above 50% of the electricity price in ten years’ time. Within Africa, and especially Sub Saharan Africa, excluding South Africa, this general trend might be slightly different due to more off grid solutions becoming available for rural areas, says Hoekstra. If barriers can be overcome, distributed generation could set the scene for widespread industry transformation –with energy efficiency, falling solar prices, demand-side management and smart grid technology, heading up the list of developments that those surveyed believe will have the biggest impact on their power markets. The least impact is expected from offshore wind and from carbon capture and storage technology which remains hindered by feasibility and development problems. Interestingly, the crucial breakthroughs required in stationary battery storage that would be needed for self-generation customers to break-free from dependence on the grid, appear too far off for most companies to foresee any significant impact for the time being. Onshore wind generation gets the highest impact rating in South America. Elsewhere in the world, energy efficiency heads the impact list of technological developments in Africa, Asia, the Middle East and Europe. New sources of fossil fuel will also have a major impact on the power market, with shale gas and tight oil changing the economies of the energy landscape. Already, the impact of shale gas on the market is reaching far beyond North America. “Important quantities of shale gas also exist in other countries, such as South Africa, Jordan and Chile, which have limited conventional oil and gas or in regions such as Europe where conventional own supplies are becoming depleted,” adds Hoekstra. However, national energy policies, ‘above ground’ economics and local community politics as well as geology will be key factors determining the pattern of shale gas exploitation. Policy-makers have the difficult task of grappling with the issues of supply availability, affordability and environmental impact. Companies in Africa and the Middle East feel that policy-makers are working well with the industry to promote investment and protect customers. However, in Africa and the Middle East current developments in companies’ power markets are increasing rather than decreasing the risk of blackouts. Certainty and clear planning are the things that the sector needs according to survey participants. “There are immense infrastructure requirements associated with just the renewal and maintenance of existing infrastructure, which is certainly true for Africa” comments Hoekstra, “but there are also new demands such as how back-up capacity is going to be provided for a system with renewable and distributed generation and within Africa how liberalization of the energy sector will take place in a controlled way and off grid solutions can be utilised”. “Power utility companies will need to respond to these changes to not be eclipsed by technological and market change, while strategies that identify the best revenue opportunities in changed, and potentially transformed future market landscape, will be the key to survival,” concludes Hoekstra.